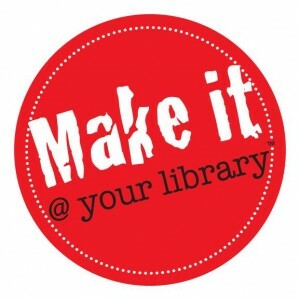 The Makerspace phenomenon is exploding in libraries everywhere and they are an easy platform to use to reach what seemed a difficult goal – library advocacy. The popularity of Makerspace programs slowly at first with public libraries acquiring 3-D printers and letting patrons use them. Soon it spread to first-adopter school libraries and librarians who also managed to get 3-D printers for their libraries. Now more and more libraries are offering these programs –with or without 3-D printers. The programs are as varied as the librarians and the populations they serve. In addition to encouraging and developing students’ problem solving skills and imagination, Makerspaces are giving librarians a great platform for advocacy. When a well thought out program is presented to administrators they often are quick to approve it. Librarians are amazed to find they have strong administrative support for their program for the first time. Why are Makerspaces embraced by administrators? It’s not the library connection. It’s STEM and often STEAM (including arts) or even STREAM (research and/or reading). Reacting to the nation-wide push for STEM-related learning, principals and superintendents welcome a tested idea for infusing it into the school program. And library programs reap the benefit. For years I have been an advocacy advocate (Isn’t that a great phrase?). I have written and given workshops on why it is important for librarians to know how to develop advocates for their program. Because it requires ongoing work, it is a hard sell, but Makerspaces have transformed the atmosphere. As with any advocacy program, you need to make stakeholders aware of what you offer. So promote the existence of your Makerspace widely. Put it on your website. See if you can announce it in the public library. Write and send out a press release to your local paper. You also have a great opportunity to involve others. When they are a part of it, they become ardent supporters. Which teachers (or possibly administrators) have hobbies or interests which lend themselves to Makerspaces? Would they like to lead a program? With administrative approval, reach out to parents and others in the community to do the same. Chances are you have untapped volunteers who would love to contribute time, skills or tools. The more people involved, the wider reach your library program has. Participants are natural supporters. Bring in the media – local newspapers and cable to do a feature. Have them interview students to talk about why they like the program and what they are learning. And don’t forget books. For each Makerspace program have a display of books on the topic. It always helps to have a quick resource for students– other than watching a YouTube video, which may be blocked. You want to show how hands-on work leads to research which the library facilitates. 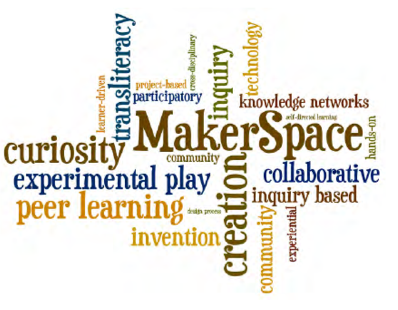 Do you have a Makerspace program in your library? Not sure how to get started? There’s lots of information out there to help you – or you can ask for specific advice on the School Librarian’s Workshop Facebook group. I am off to ALA Midwinter in Boston this coming week so I won’t be blogging next Monday. If you are going, I hope to meet you there. Next Article ON LIBRARIES – Uninformed or Misinformed?